In Canada, Thanksgiving day is celebrated on second Monday of November whereas in America it is celebrated on fourth Thursday of November. In year 2014, Canadian Thanksgiving falls on Monday, Oct 13 and in 2015, ThanksGiving falls on Oct 12. It is the first long weekend after the school starts and last before the chills of Winter kicks in. It is an official Stat Holiday except for PEI, NewFoundland, Novascotia and NewBrunswick. In Quebec, Thanksgiving, or, action de grâce, is celebrated a bit differently. Though celebrated by the English-speaking population in Quebec, French Canadians normally do not carry on with turkey and family get-togethers and take it as another day to cool off and relax. However, Federal Government employees (and some Provincial employees) do get this as paid day off. It originated as a religious festival that corresponds to the English and continental European Harvest festival. Churches would be decorated with pumpkins and other harvest bounties. English harvest hymn would be sung on the sunday of ThanksGiving long weekend. It is slowly evolving into a weekend where families get together to share a big meal. Thanksgiving feast with a big Turkey. Different families hold the big feast on different days of the three day long weekend. Turkey, Apple cider and Pumpkin has become a big part of thanksgiving festivities. People decorate there houses and special prayers are done in churches. So people are out and around. It is a time of joy and merry. With time thanksgiving parade has also become a big tradition of Thanksgiving weekend. The "Kitchener-Waterloo Oktoberfest parade" is the most widely known Canadian Thanksgiving Day parade and is broadcast nationwide on CTV. When is the Thanksgiving Holiday in Canada? Unlike United States, there is no 'black Friday' after Thanksgiving in Canada. Americans celebrate a day of Shopping spree after thanksgiving holiday which is called 'Black Friday'. It is however become a very common trend in Canadians to head across border to avail the black friday deals. There are sometimes really crazy deals on Electronics (TV, Phones, Laptop etc), clothings and personal accessories. But they have to wait for US Thanksgiving weekend. It is a family activities. Lots to do for everyone in the family. Folk music, Jugglers, Petting zoo, rides, Food, boat rides etc. Oct. 9 to 11. Harbourfront Centre, 235 Queens Quay W., 416-973-4000, harbourfrontcentre.com. Chefs from Toronto's favourite restaurants—Mildred’s Temple Kitchen, Cowbell, and Local Kitchen and Wine Bar—kill comfort food cravings with their soups made from Canadian produce. Admission includes 10 samples at the “all-you-can-slurp” soup stations, all the better to get your belly ready for Thanksgiving big feast later in the weekend. Reservations required. Oct. 9. $15. Heritage Court, Exhibition Place, 100 Princes Blvd., 416-535-0240, soupalicious.ca. Harvest Pumpkin Hunts run weekends in October. It is a ticketed event. Kids will definitely enjoy this as they ride a tractor pulled trailer, find the pumpkins and then decorate it themselves. 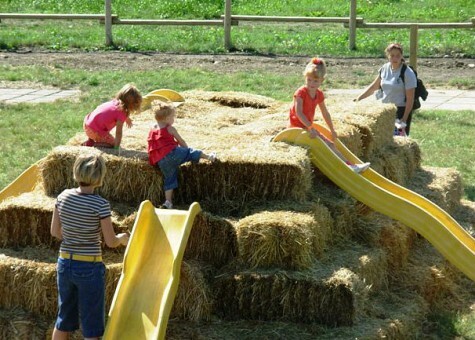 Children’s Harvest Pumpkin Hunt ticket includes Farmyard Admission – $11.99 +gst. ( Ticket includes one pumpkin for each child). Flashlight night on October 7th, Friday. - Navigating the corn maze at night with only flash light. Last admission to the maze is 9 pm. The site will remain open until 10 pm.